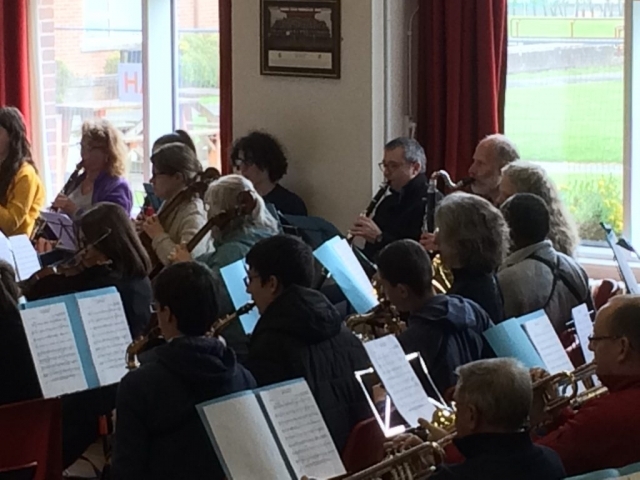 From the 20th April until early the following week, Newtown hosted visitors and musicians from its twin town of Les Herbiers. 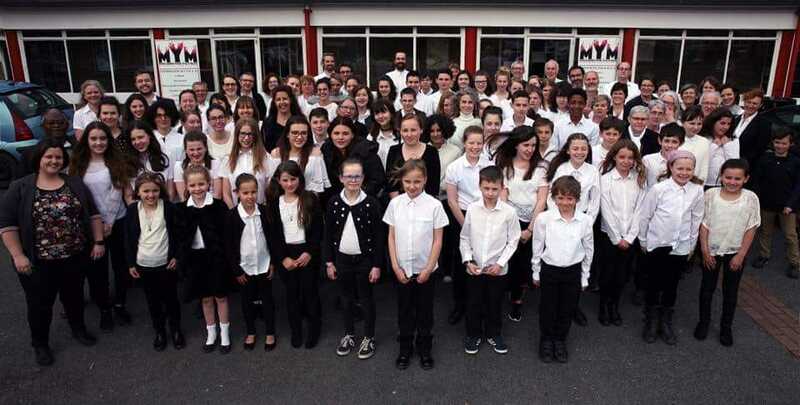 With some very hardworking Committee members present on both the Twinning and MYM Committees, there was a determination to combine our love of music into a joint concert to be a highlight of the weekend. 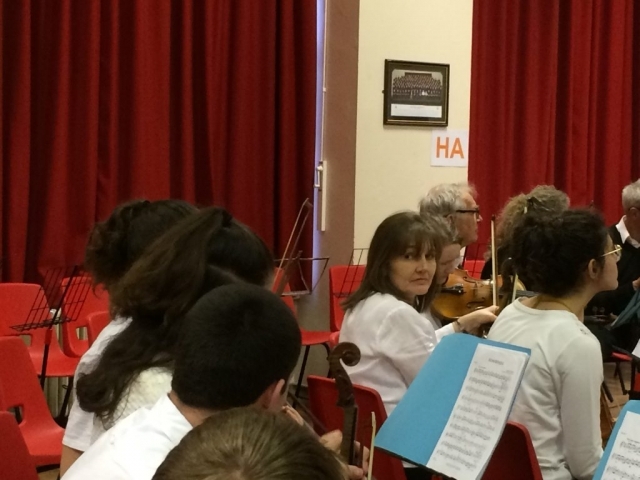 Performers from France included students from L’Ecole de Musique, Les Herbiers Orchestre Vents, Les Herbiers Orchestre Cordes, Les Herbiers Musique Actuelle and their Directeur – Bruno Yviquel. Both parties agreed a programme and rehearsed tirelessly with the aim of a united performance with extra individual contributions also. 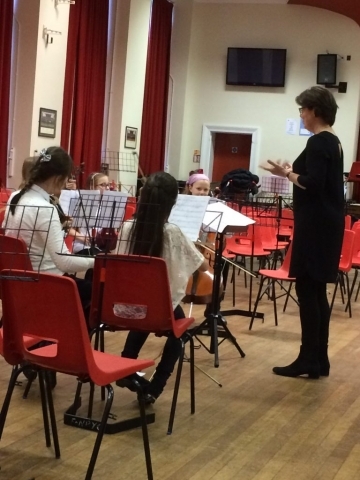 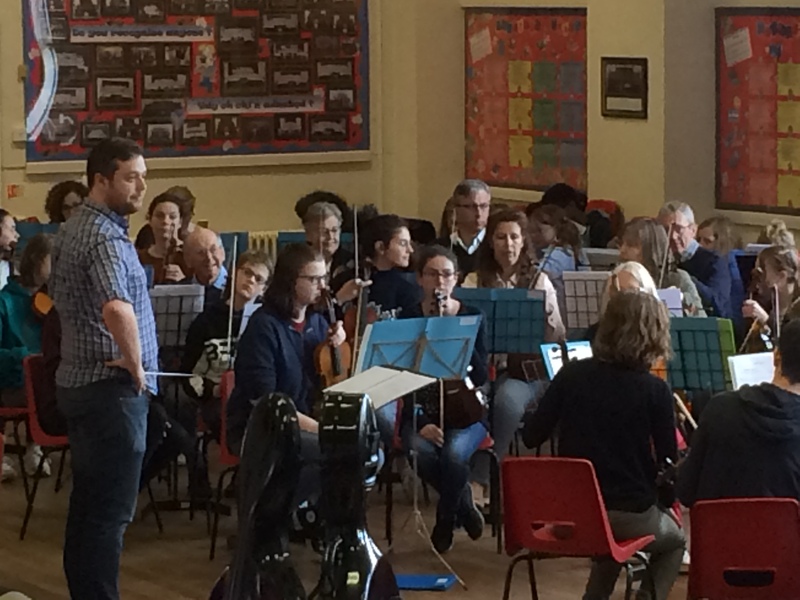 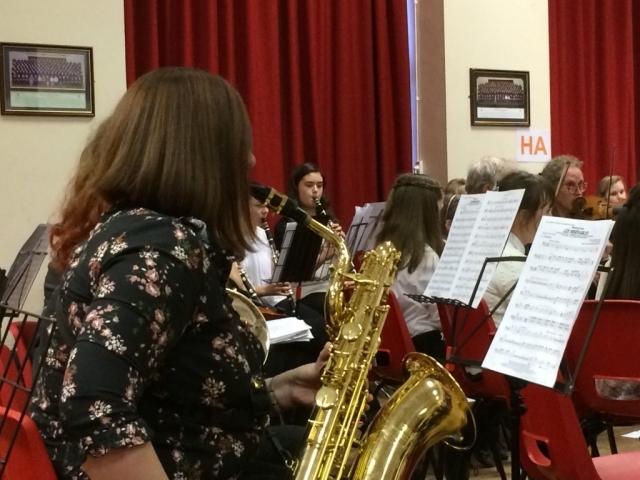 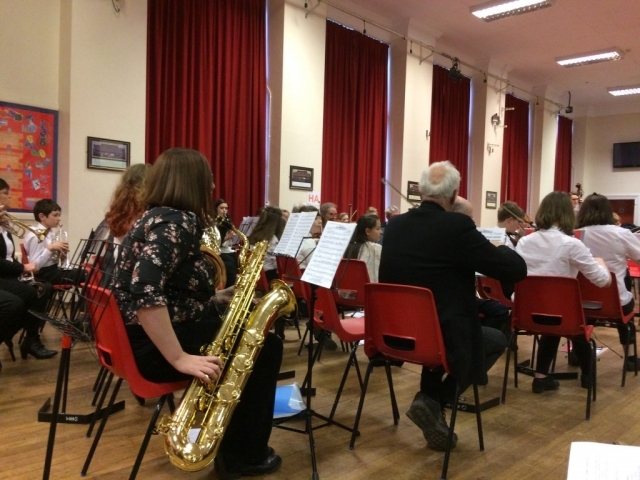 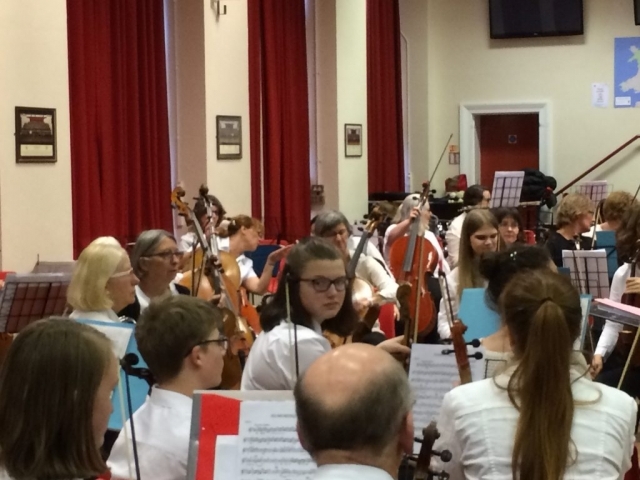 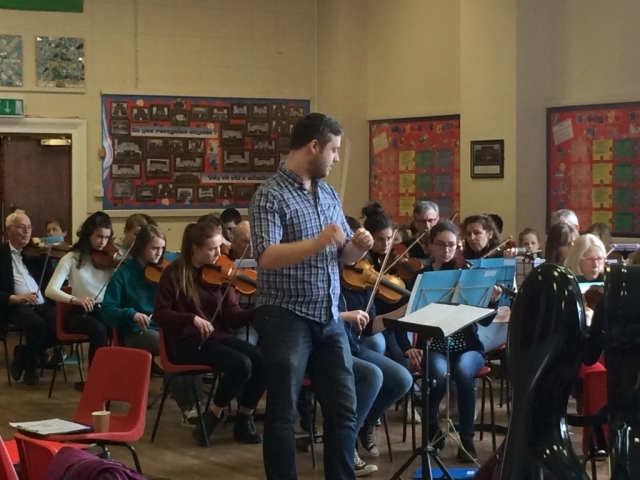 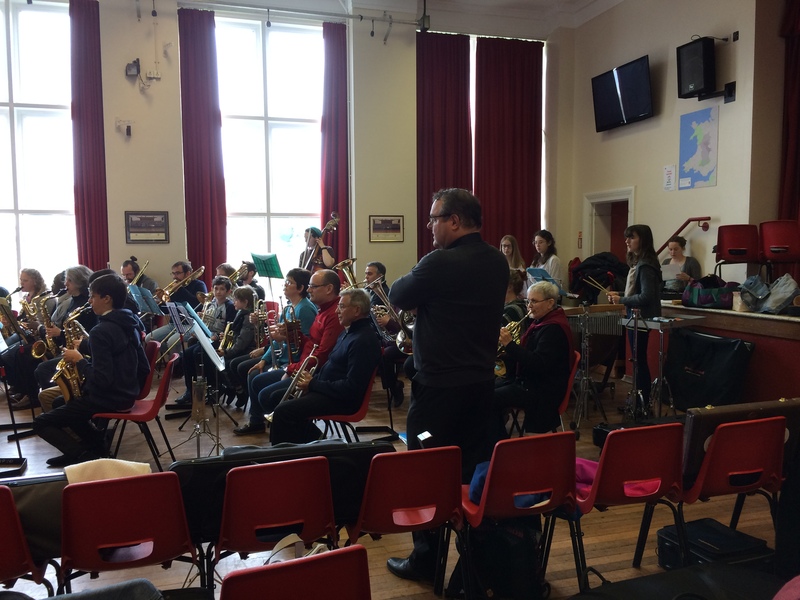 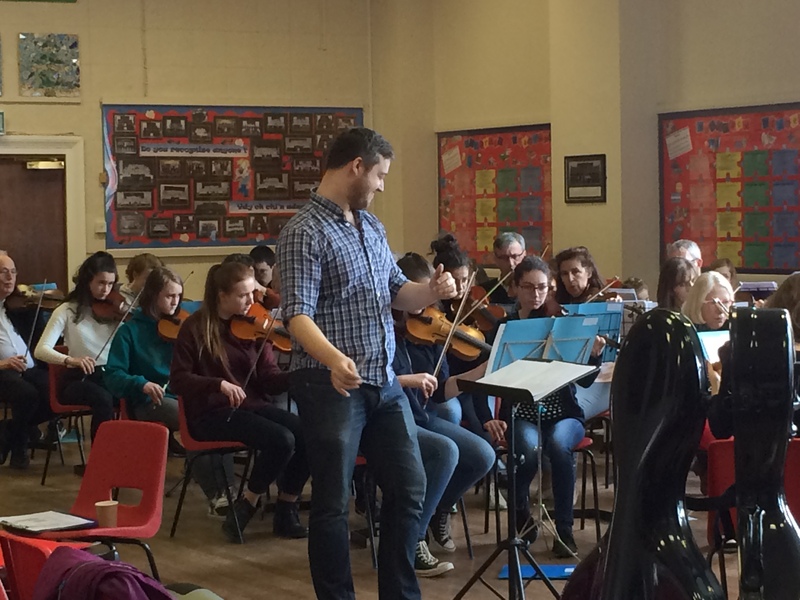 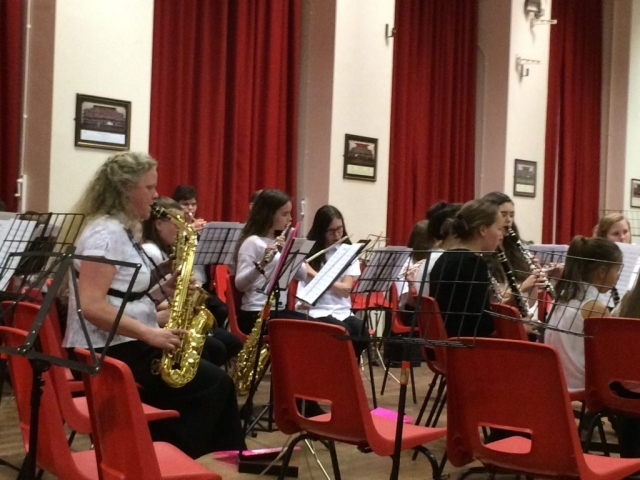 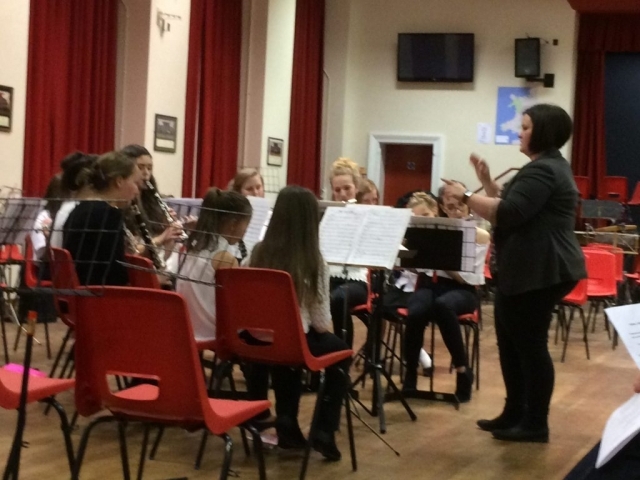 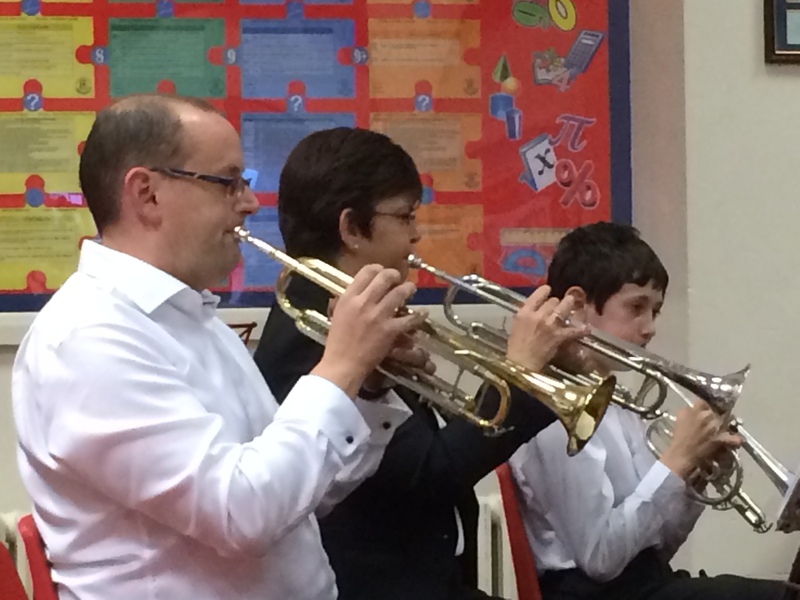 Greg, Gez, Sian, Theo and Jayne all tutored the MYM pupils in readiness and similarly Bruno who led the French musicians put in hours of effort towards the event. The result was the most striking and impressive performance we have had the privilege to watch and listen to. 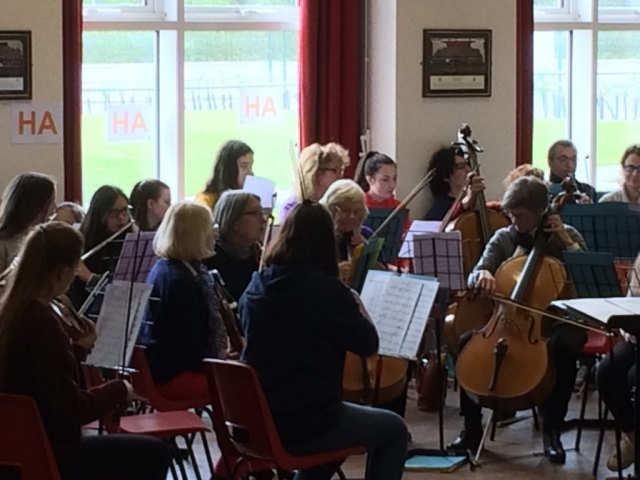 Also contributing to the weekend was local group Ffonic and Maldwyn Strings who provided great entertainment on the Saturday at a social at the Elephant and Castle.